Innovation is a big word. With it, comes a lot of assumption and a lot of expectation. One company exceeding those expectations is Sprout Studios, a multidisciplinary Cambridge-based design firm. For Sprout, you can also use words like iconic, creative and wow. They’re our Customer Spotlight this month and we’re proud to be sponsoring LOCALIZE Boston with them at the IDSA International Conference 2012. We talked with Jordan Nollman, President of Sprout Studios, to see how they’re visualizing the innovation using KeyShot. Jordan Nollman is Boston born and bred. He’s an award-winning designer who is inspired by the entrepreneurial spirit of design. In his current capacity, Jordan is Chief Creative Officer at Clio Design Inc., and the Founder and Principal of Sprout Studios.Jordan has designed products and experiences for many of the worlds top brands & design consultancies, some of which include Alienware, Altec Lansing, Altitude, Astro Studios, Burton Snowboards, Disney, Dell, Eleven, Fisher Price, Herman Miller, HP, IDEO, Microsoft, Manta Product Development, New Balance, Nike, Pogoplug, Puma, P&G, Razorfish, Target and Ziba Design. 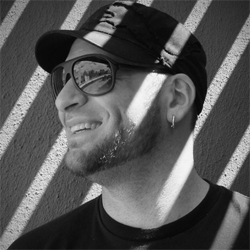 Throughout his career Jordan has been an active member in both the Boston and San Francisco design communities serving as chair of IDSA Boston, as well as lecturing on the power of design at numerous universities, conferences and corporations. He also was a Juror for the prestigious IDEA Business Week Design Awards and most recently has accepted a seat on the Board of Trustees of Design Museum Boston. Jordan holds a BFA in Industrial Design from Rochester Institute of Technology and his work has been published in numerous publications ranging from Wall Street Journal to Popular Science. Toys. On my 15th birthday my father and uncle asked me what I wanted to do when I grew up. I replied, “Design toys, and I don’t plan to grow up”. I was super into creating, modifying and collecting toys. My uncle said, “I think that’s Industrial Design”. They then grabbed a college almanac (there was no real internet back then) and asked a family friend who was an Industrial Designer what would be a good school for ID. He suggested RIT and after one visit I was sold. I had no real portfolio, just a my sketch books full of graffiti, some woodshop projects and my crazy toy creations. I then moved in with my uncle who was an artist and 6 months later I went back to show the RIT department chair Toby Thompson my progress and was admitted to RIT on the spot! Ironically, I have never really designed toys, but still have a pretty killer toy collection. What are some highlights throughout your career? Well, its been over 10 years since I started working, 200+ interviews, 100’s of amazing clients and projects, juried the IDEA awards, numerous design awards, patents and publications and 14 jobs, that include IDEO, Eleven, Altitude, Ziba, Manta and Razorfish, to name just a few. More specifically, I founded Sprout Studios in 2001. I have been playing a significant role in building Clio Designs, Inc. from a small start up into successful, globally recognized consumer products company as their Chief Creative Officer. There were a ton of cool programs in the 6+ killer years I spent honing my skills with the Astro Crew in SF. Most recently, I co-founded New Sprout Foundation, a non profit 501c3 focused on creating mobile apps for other non profits. Our first app, Sessions Surf Journal, will drop this August 16th at LOCALIZE, an event we will be throwing during the Offsite portion of this year’s IDSA International conference in Boston. I’m an Alias Guy, although SolidWorks is getting regular use. What brought you to the decision to use KeyShot? To be honest, I started off using Hypershot, after years of using other more complicated rendering programs. I was surprised on how simple it was to achieve some pretty dynamic renderings quickly. After the split, KeyShot really rose to the top from a usability/feature standpoint, the updates have been great and the sales team rocks! Almost forgot the best part… KeyShot runs on native Mac. What do you create renderings/animations of? How has KeyShot helped? I create renderings of products ranging from consumer electronics to skin care as well as packaging, POP and interior design. Keyshot has really streamlined our process and allows us to creating killer renderings efficiently and effectively. In terms of my favorite project I have used Keyshot for, it would either be the Hypergroom Line of shavers we did at Clio or the work Sprout did for the Altec Lansing iPad speaker case. In the Clio project, we not only used KeyShot to create our formatted product renderings, we also used it to actually illustrate dynamic feature call-outs for production packaging, thereby saving us both time and money that we would have otherwise spent on photography. With the Altec work, we needed to create a ton of Color, Material & Finish options for potential limited edition and co-branding opportunities. Keyshot proved to be invaluable for this and we now pump out similar CMF studies for all our projects.